We hope that you had a wonderful Thanksgiving filled with food and lots of quality time with your family and friends. While our bellies are stuffed and our hearts are full, we still have a whole lot of turkey that we discovered can be enjoyed way beyond turkey sandwiches. We are also excited to kick-off the holiday season and start decorating. 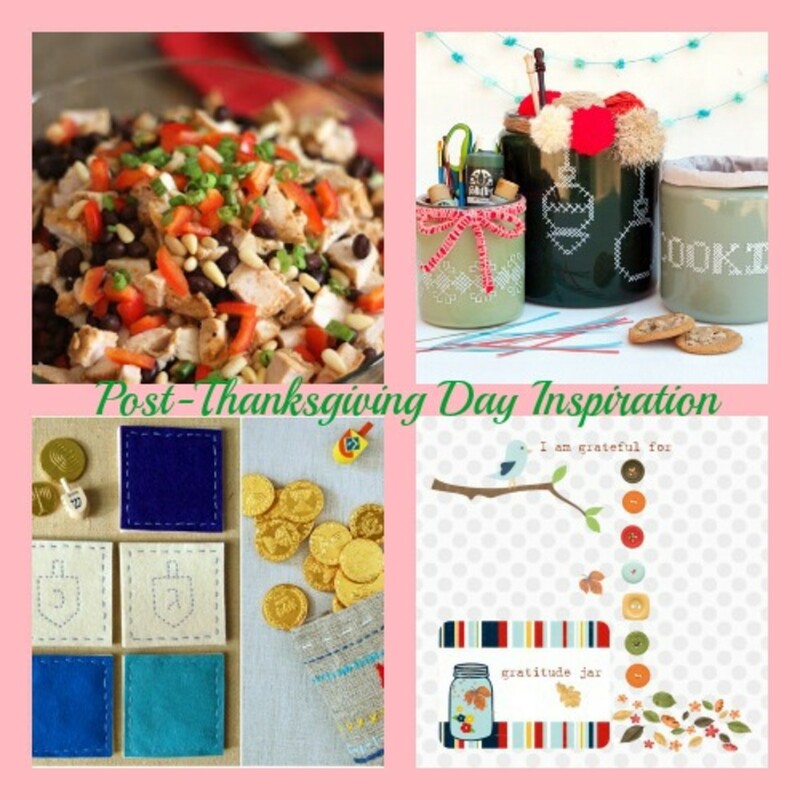 Here are some recipes, decorating ideas and a gratitude page for the upcoming holiday season. 1. If you are not &apos;turkeyed out,&apos; be sure to check out Barefeet in the Kitchen and her full list of Turkey Recipes After Thanksgiving. I love how she includes recipes to mix up the standard roasting option with a Turkey and Walnut Salad with Cranberry Dressing, Simple Turkey Salad for Sandwiches and a Spicy Southwest Turkey and Four Bean Soup (among many others). 2. For some holiday crafting, Paint me Plaid features a cool way to reuse storage containers by painting them with a fun stitched pattern. Not just for the holidays, this is a great way to recycle old containers and turn them into something beautiful. 3. Hanukkah is a few weeks away, and to get ready Omiyage Blogs featured a collection of crafts from Embroidered Dreidel Game Pouches from The Purl Bee to Dreidel Place Cards from The Party Dress. 4. The holidays are all about being grateful. We are loving the free printable gratitude page from Dear Creatives that is a great way to to talk to kids about what is really important over the holidays.